Most small-to-medium sized businesses (SMBs) do not have the same resources as larger enterprises, however they still experience many of the same data storage problems such as capacity issues, shrinking data backup windows, data sharing and remote access. Compounding the problem is the fact that many SMBs don't have a dedicated IT person to constantly monitor these issues. Even with these challenges, there are options tailored specifically for SMBs that not only meet the demands of small IT infrastructures, but are cost-effective as well. The reality is that SMBs of all sizes are struggling to efficiently manage their data, but they need to protect business-critical information. When it comes to discussing business-critical information the conversation typically leads to backup solutions. However, the time has come for the industry to reprioritize data protection away from its historical focus on "backups" and shift the focus to the ease of restoration that comes with using disk-based storage solutions. Now is the time to take a hard look at the entire approach to backups. If you lose a critical server, can you restore that server in minutes, or will it take hours or days? If you need to restore a document, does that require an hour of administrator time or a few minutes? All of these use-cases have been solved by the benefit of disk-based backup solutions. Across the IT landscape, disk storage has steadily replaced tape, as hard-drive capacity grows and prices drop. As disk emerges as the leader in both price and performance, it’s time for small and midsize businesses to take advantage of the reliability, performance, and economy of disk-based backup and recovery. 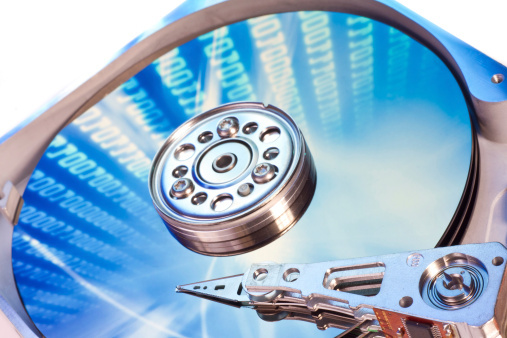 Here are just a few of the reasons SMB’s should turn to disk as a backup solution:Data Availability - Tape backups stored offsite are offline and unavailable for quick restores. Performance - High-end tape drives are fast. Reliability - Gartner Research estimates that 15% of all tape backups and 10 to 50% of tape restores fail. Poor odds for a business trying to protect mission-critical data. Automation - Tape backup is a tedious task that requires careful attention to the details of media management, record-keeping, shipping, and storage. Virtualization - These systems are typically optimized for disk-based backup systems. When seeking a new solution, know that you don’t need to throw away your now-legacy tape infrastructure. Disk-based backup solutions aren't meant for archival storage. They solve the problem of rapid restore and backup window elimination. Yet a good disk-based backup solution will enable you to "back up the backup" to tape, giving you the off-site rotation and regulation-ready archival your business requires to maintain compliance. After converging for years, the price points of digital tape and hard disk storage are now crossing for large backup and recovery environments: The reliability, performance, workflow, and management advantages of disk-to-disk backup and recovery solutions, together with their emerging price advantage, are causing managers of small and midsize businesses to re-examine their reliance on tape storage. Employees, partners and customers all expect accurate information will be available whenever and wherever it is needed. If your company hasn’t already done so, the time has never been better to evaluate the ways in which reliable, affordable and easy-to-use disk storage can significantly ease the stress of keeping your data accessible and safe. SMBs struggling to find data storage solutions at a cost-effective price now have an option that is reliable and can keep up with the demands of their IT infrastructure.